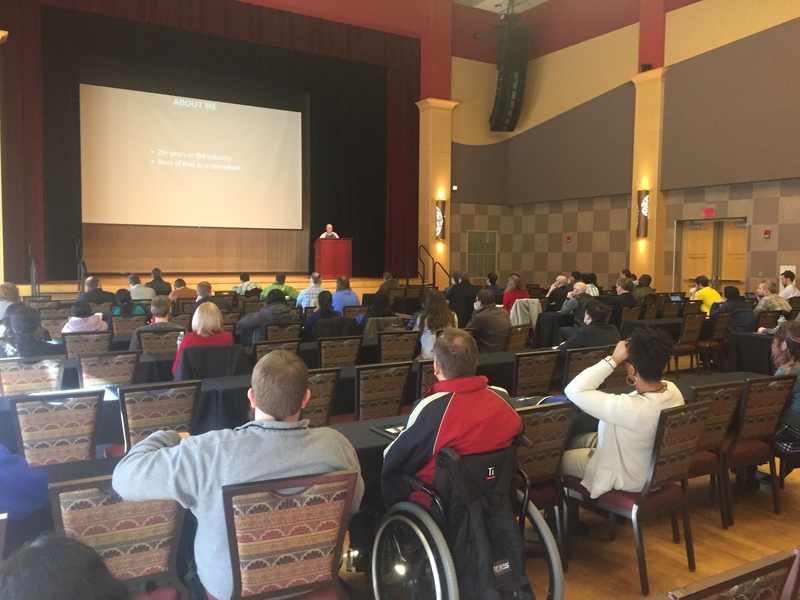 On Tuesday, February 27, 2018, Centric Sponsored and participated in the annual QA or the Highway Conference at the Ohio State Union. Centric was proud to be the platinum sponsor for the QA or the Highway Conference in Columbus, Ohio on February 27th. This was another fantastic year for the QA or the Highway conference, where hundreds of QA and Testing professionals came together to focus on furthering their testing knowledge. Learning to test both thoroughly and efficiently was a constant theme throughout the conference. The Ohio Union, on the Ohio State University’s campus, was charged with the enthusiasm of an audience ready to learn from the power-packed lineup of speakers. Dan Longcoy and Oksana Shmaily shared their journey in leading an entire QA team through a necessary QA transformation. They identified the challenges they were facing and chose to begin a transformation to strengthen their QA department. They provided QA team members with the necessary resources to begin the transformation and become better, more efficient testers. Oksana and Dan shared details about the areas that were once weak within their QA department, and they provided solutions on how others can successfully execute this transformation. Donavan Stanley put an emphasis on having efficient, clean code by introducing Centric’s Ruby gem, Captain Hook. He showed how Captain Hook can be utilized to apply before/after hooks to arbitrary methods on objects. This helps testers get away from needing to write repetitive code. Matt Eakin walked through the steps for creating a good, full tech stack testing strategy. All tests should have a purpose, and automation may not always be the right solution. Identifying the areas where you need testing is key. 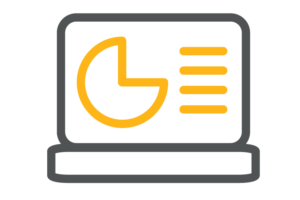 Implementing a good test strategy will help you provide solutions that test a system thoroughly, while keeping costs to a minimum. Watch the presentation here. To see more testing information from Matt Eakin click here for his blog series. Whether you are new to BDD, ATDD, the Cucumber automation framework, WATiR or WebDriver world, or even if you are a veteran, this series is for you. Is Test Planning a Lost Art in Agile? Michelle Williams highlighted the value that test planning still holds, even in the agile world. When agile teams focus too closely on the technical details of the work, they miss the overall picture and overlook key pieces. This can really slow project velocity in the end, so it is best to strategize and plan before the tests are written. Watch the presentation here. Find out what prompted Centric’s Joseph Ours to start QA or the Highway, and how it’s progressed. Read the article: QA or the Highway: From Dream to Success. Are you looking for a BDD tool to lead your agile testing team down the path to automation? Read our blog series for lessons, tips and strategies to help testers – of all experience levels – build their own Cucumber framework.